I've now had the White 3Fat Pro fatbike, sold by XXL, for a little over a year. As I'm about the complete the build of a new fatbike soon, it feels like a good time to sum up a year with the 3Fat Pro. The first impressions are still valid. Bought with a 25 percent discount, for about 1000 €, this is probably the best bang for the buck you can get in a fatbike. Bought without discount it is still good value, but for just a little more you can also get e.g. 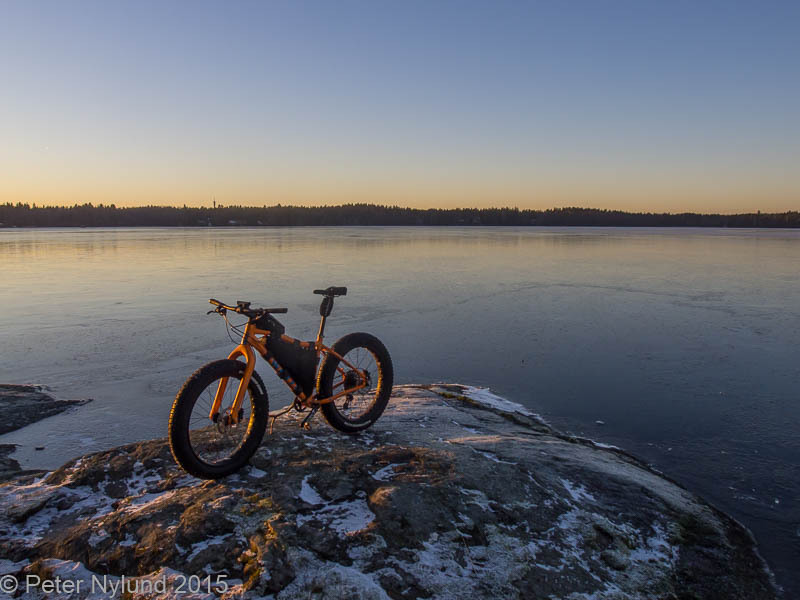 a Salsa Mukluk fatbike, which in some senses is more bike. And there are of course other alternatives as well. I've pretty much used it with standard components, except for the saddle, saddle post, stem, grips and handlebar, which I replaced according to my own preferences. I've used the original tires, and found them to be perfectly fine, though some people have had complaints about these. It didn't take long to make some bikepacking bags for it. XXL actually also sells a very cheap frame bag branded White, but it isn't big enough to be usable on an L sized frame. This bike might very well be the bike that I've had the least problems with during it's first year, which is almost a shame to state, since this is sort of a market bike, and not one of the Surlys or Salsas favored by "real" fatbike riders. The SRAM GX 1x11 is definitely the best gear system I've ever had. I don't think I've even had to adjust the gears in any way, they have just worked perfectly. The brakes have been sufficient, though not excellent. They are probably the cheapest part of the bike. I do like the fact that the bike came equipped with a larger disc rotor in the front, which has been my preference all the time. I've had a single problem with the bike: The rear brake leaked a small amount of hydraulics onto the disc rotor, resulting in diminished perfomance and increased noise. I cleaned the rotor and tightened a coupling and it hopefully solved the problem. The rims and hubs are branded White, so it's hard to say what they are, but presumably they are cheap. The freewheel body is traditionally the most delicate part, but I haven't actually had a single problem with it. Some problems have been reported on the Finnish forum fillarifoorumi, but personally I've had a lot more problems with the more expensive Salsa hubs. 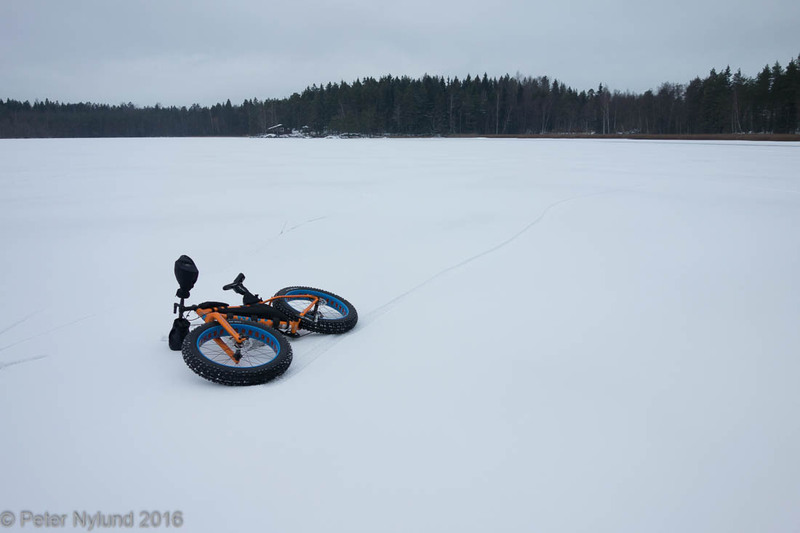 I had my winter wheelset with the 100 mm Clownshoe rims rebuilt with 190 mm hubs by Foxcomp, with the intention of it being the choice for winter with a lot of snow. Unfortunately, the winter 2015-2016 ended prematurely, so I didn't get to use it much. In November we did get a little snow and I mounted it to the 3Fat Pro with the 4.8" Surly Bud tires front and back. 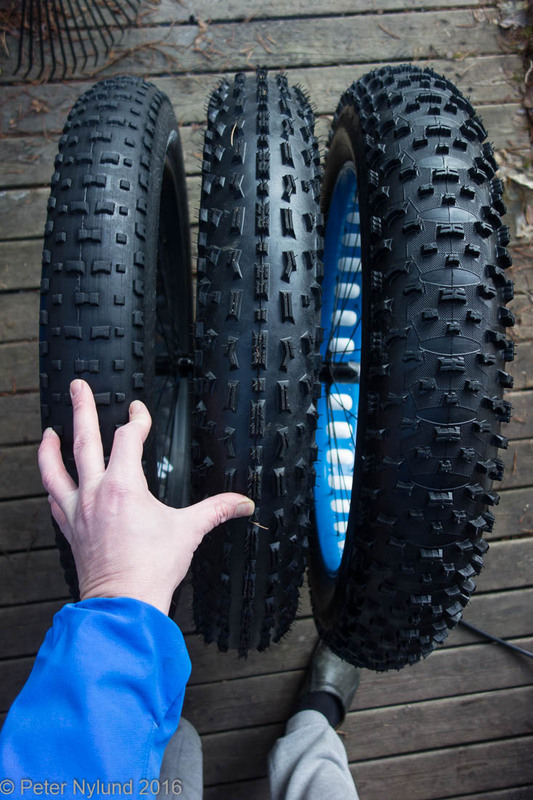 They fit fine and with 7-8 mm clearance, which is good enough at least for winter use. 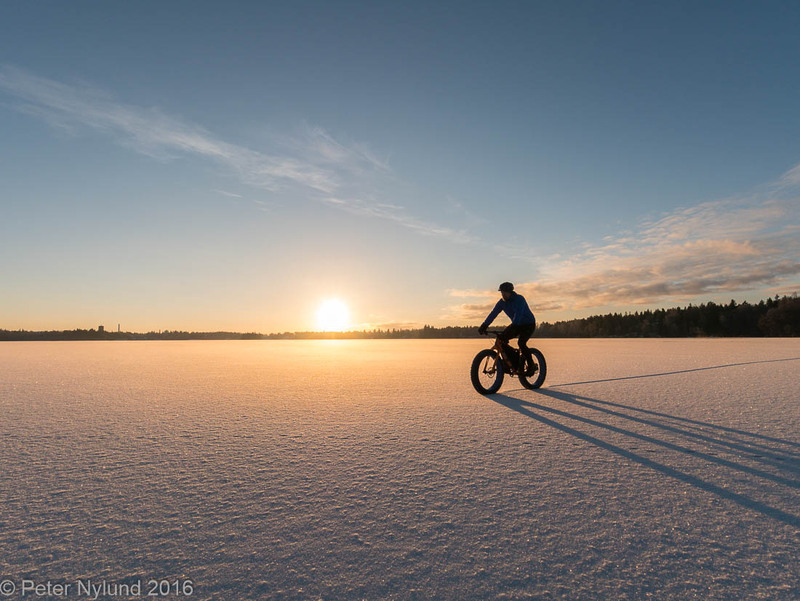 So, if the bike is so great, why I'm a getting a new fatbike? 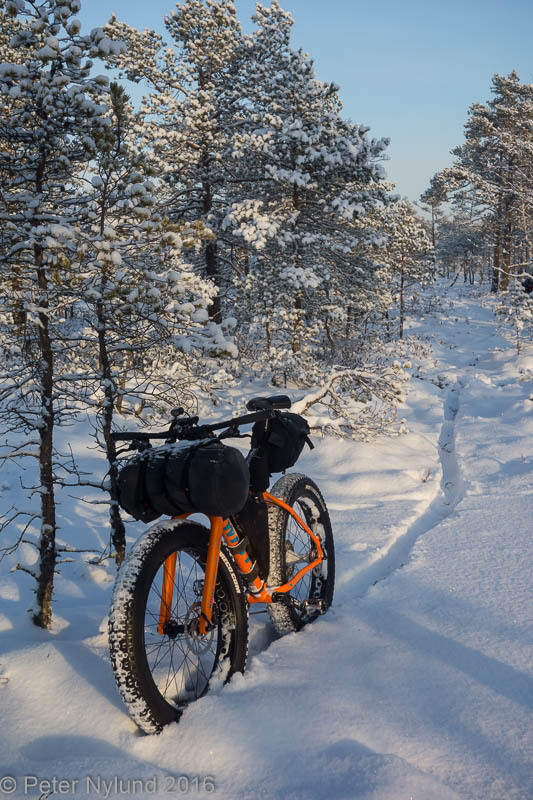 There are actually two reasons: The 3Fat Pro is not the perfect winter bikepacking bike and it does not have the same soul as e.g. 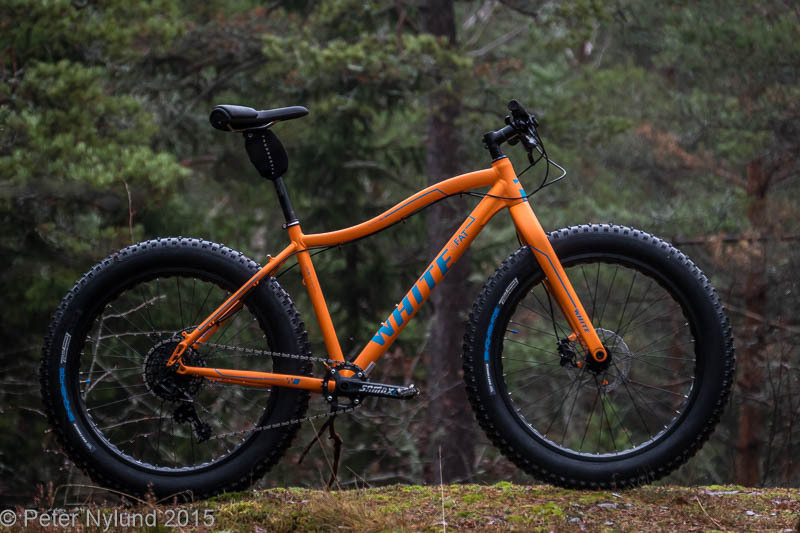 a Salsa or Surly bike. 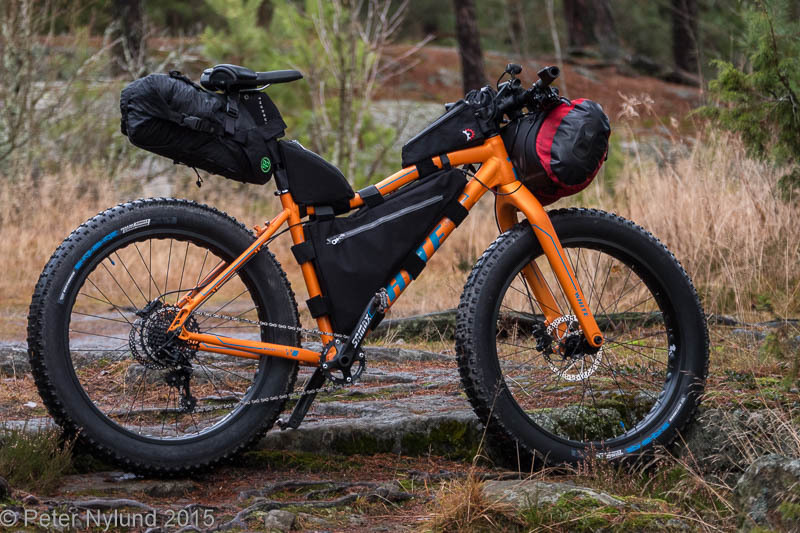 The White 3Fat Pro in size L is a little small for me to be a really good bikepacking bike. I would like the cockpit to be slightly longer and the handlebar to be a bit higher, since a large enough drybag will easily hit the tire. Also, the excellent carbon fork, does not allow you to put gear on it, which in my opinion is a must for a winter bikepacking bike. The soul thing is different. 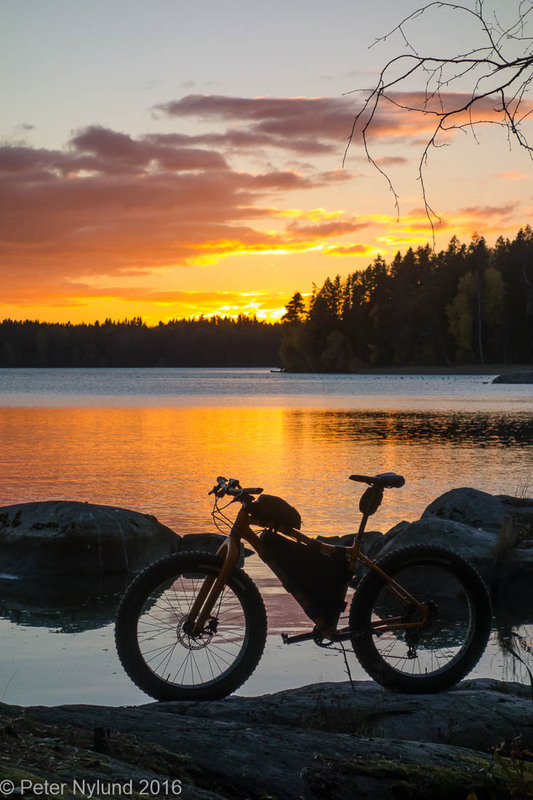 Though I don't consider myself a bike snob (I'm more into the what you can do with a bike rather than being into bikes), there is still something special about a Salsa or Surly bike compared to a market bike. This bike will still continue it's life in a slightly smaller form. XXL sold the same frame without the fork for a fairly low price, so I ordered an M sized frame, which will be perfect for the 11 year old, who is already tall enough for it. I'll just transfer the components to it. Who knows, maybe even the L size frame will be needed again in a few years.